A £80.00 non refundable deposit is required and full payment 28 days prior to the arrival date (payment by Bank Transfer or cheque). 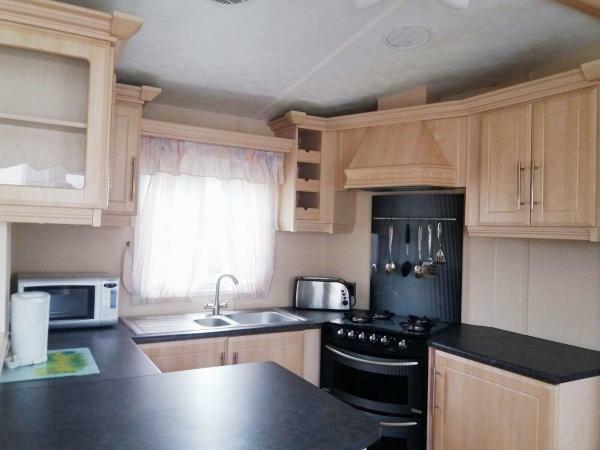 This caravan is a Cosalt Eclipse model, situated on pitch Hill Top 39, which is a quiet area of the park but is only approx 3-5 minutes walk away from all the park facilities. It has its own parking area and as can be seen from the photographs a purpose built veranda with outside table and chairs. 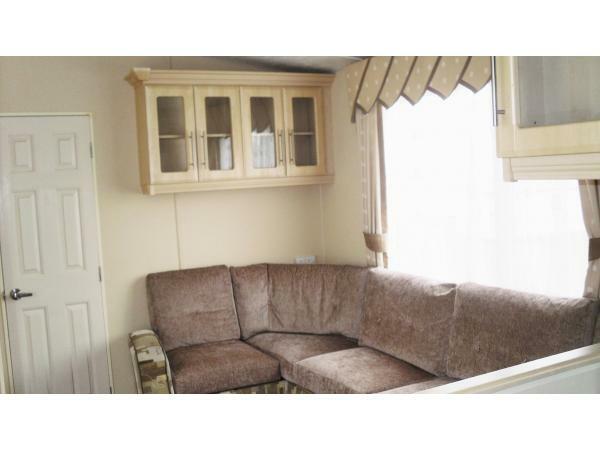 The caravan has double glazing and central heating in every room inc. bedrooms. There is one master double bedroom which has an en-suite shower and toilet and two twin bedrooms one of which can facilitate a cot (which can be hired from Blue Dolphin at an additional cost). There is also a sofa bed in the lounge area which brings the total accommodation to 8 people. 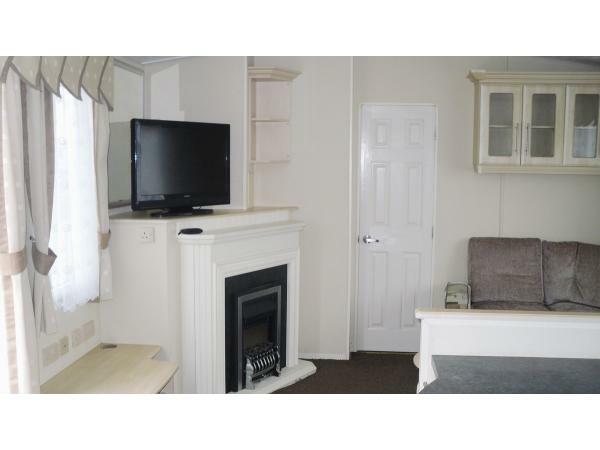 There is also a shower and toilet, a well equipped kitchen/dining area and a separate comfortable lounge area with a 38"colour TV and DVD player. Entertainment passes are not included in the price but can be purchased from the Blue Dolphin Holiday Park reception at an additional cost when the caravan keys are picked up on your arrival. Quilt covers and bedding are provide however you will need to provide your own towels. 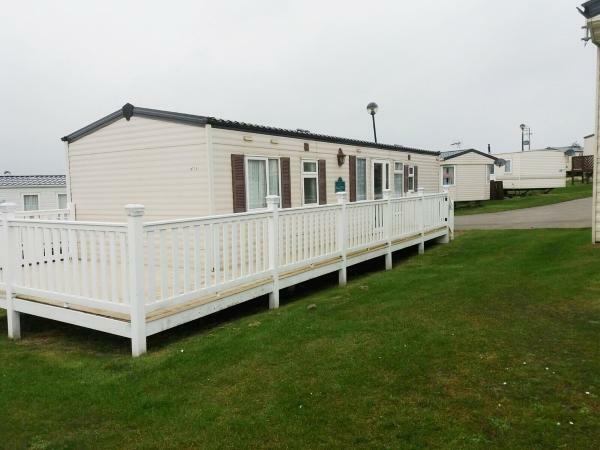 This is our family holiday home and all we ask is that you treat it with the same respect you would your own home.